Since the last CAJSAs, we have worked to improve outcomes for our communities and there are many examples of locally led projects that have made our community area a better place to be. Through the Area Boards there is a growing level of community involvement in decision making and the information presented here will allow us to go further to ensuring that we focus on creating healthy and vibrant communities. As well as the challenges we face there are many opportunities for us to make our community stronger. This new assessment allows us both to focus on the future and continuing to make our community a place people want to live, work and visit, but also reflect on all we have already achieved. Bradford on Avon Community Area is made up of 59km2 of urban and rural countryside in the west of Wiltshire. It is dominated by one large settlement, the ancient market town of Bradford on Avon. The town has a history dating back far earlier than the Saxons, whose lasting legacy is the little church of St Laurence. Excavations in the playing fields of St Laurence School have revealed one of the largest and certainly richest Roman Villa sites in Britain with a series of remarkably well preserved mosaics. The current town is characteristic of many market towns in Wiltshire which had their heyday during the 16th century with the booming woollen trade, with a series of old woollen mills dotted along the river overseen by rows of weavers’ cottages on the hill above the town. The surrounding area is one of small villages and farms and is rural in nature. Bradford on Avon is the only town in the nine parishes across the community area. The countryside and its villages have a typical look with many buildings built of the local limestone that gives the area its Cotswold character. 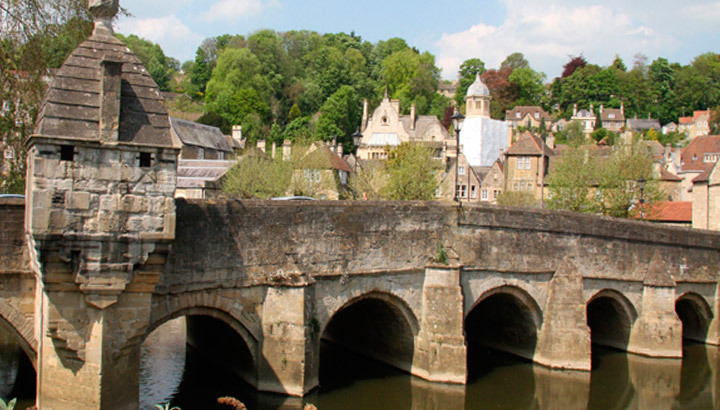 Bradford on Avon is a popular and expensive commuter town with easy access to Bristol, Bath, and London. Although the town provides a range of shops and facilities, the nearby city of Bath, only 6 miles to the north-west and Trowbridge, 3 miles away, both provide many nearby alternatives. The community wanted to provide better facilities for young people and there has been support for a new community-based youth model with active involvement in the Local Youth Network and the Town and Parish Councils. The Colonel Llewellen Palmer Educational Charity continues to provide important resources for the young people of the town. There are now youth clubs and workers in Bradford on Avon and Holt; young curators at Wiltshire Music Centre; student counselling at St Laurence School; schools involved in remembering the industrial heritage of the town; summer holiday activity programmes, World War 2 dancing; an annual youth forum; and support to a wide range of sport clubs. There are plans to create a youth café as an after school meeting place to get online and do homework in a supportive environment. Further to a transport and accessibility forum held in 2015, action on traffic volumes and speed, traffic calming measures, safe routes to school, improved pavements and crossings in the town centre are all under way as part of efforts to make Bradford on Avon more “access friendly”. 20mph zones close to the schools will be established in Spring 2017. A documentary film has been made on the problems of getting around the town in a wheelchair and businesses are being encouraged to make efforts to improve accessibility to premises through ramps, bells, “click and collect” and other innovations in support of the elderly and the infirm. A feasibility study is being commissioned into the need to provide a safe river crossing, possibly through a new footbridge across the River Avon. The area has a very active community and a plethora of events, societies and volunteers involved in all manner of activities. An annual programme of festivals is taking shape with arts, fringe, walking, cycling festivals and other regular events. In July 2016 a Civil War Re-enactment of the Battle of Bradford attracted thousands of visitors to the town. The live-aboard boating community on the Kennet and Avon Canal provides a thriving sub-culture and the boaters and the canal give the area a distinct identity and contribute greatly to the visitor experience of the town. A successful bid to the Heritage Lottery Fund and Arts Council secured £73,500 to bring back to the town the first rubber rolling machine in Europe, known as the Iron Duke, restored and displayed on the site of the former Avon Rubber factory at Kingston Mills. The project has involved former factory workers, an education programme with the schools and a community programme featuring film, music, poetry and journalism in celebration of the town’s industrial heritage. The former chamber of commerce has re-invented itself as “BoA Business” to help promote the town and its commercial opportunities. It holds regular business networking events, has inaugurated a Business Awards competition, has supported a weekly market in Lamb Yard and sponsors events such as the annual Pancake and Duck Races. It was felt by many that the town was not fulfilling its tourism potential and that more could be done to support tourism employment and to increase spending in shops and on local services. A project led by the Town Council with Visit Wiltshire has helped to develop a brand for Bradford on Avon and a focus on attracting day trip visitors from Bath; setting up a film office to promote the town as a filming location; and efforts to make more of the waterways through lighting up the river. The Tourist Information Centre has re-opened with a new Tourism and Events Manager and there are plans for new tourism literature, finger-post signage, interpretation boards and a twin-town link with China. Ongoing traffic and air quality concerns have led Michelle Donelan MP to conduct a household survey on community priorities for action. The Town Council has followed up by discussing an action plan with Councillor Philip Whitehead, Cabinet Member for Transport, on issues including pedestrian safety, traffic congestion and car parking. An Air Quality Action Plan has been published. Emissions are being monitored in real time, school travel planning is being locally supported and a study of traffic origin and destination has been undertaken. There has been local promotion of walking, cycling, public transport and electric vehicles initiatives. 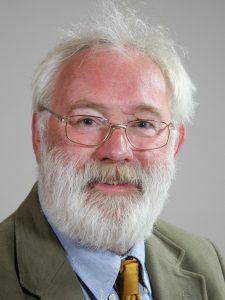 In 2013 Bradford on Avon’s retirement age population, as a percentage of its total population, was the third highest in Wiltshire and the local community wanted to make the right support available for vulnerable people. A Seniors Forum has been established with over 100 members. A Dementia Action Alliance has been set up, dementia information events have taken place, a memory café established and dementia-friendly status sought for the town. The Hub@BA15 project, in association with the Churches, is now an established local centre for the vulnerable offering a food bank, debt and housing advice and a job club. A Health and Wellbeing Group has been set up in partnership with the local Health Partnership, Age UK, Seniors’ Forum, Churches Together, Azheimers Support, Dorothy House and others. The focus is on developing a programme of social prescribing activities and self-help, including a Leg Club, a Falls Clinic, a befriending scheme and a Mens Shed. A programme of asset transfers to the Town Council has included Westbury Gardens, Culver Close, Barton Farm Play Area, Sladesbrook Recreation Area and Newtown and Budbury Car Parks to a residents’ association. The former youth development centre is being managed on a lease by the Town Council as a “Youth and Community Centre” with an expanded range of activities from toddler groups to luncheon clubs for the elderly. These transfers mean local people are managing local community assets to the benefit of the whole area. After 3 years work, a Neighbourhood Plan for Bradford on Avon has been finalised and will go to its referendum in 2017. To find out how Bradford on Avon Community Area compares to other Community Areas on a specific theme please visit the relevant Key indicator page. At a Community Event in Bradford on Avon, residents voted on which issues to prioritise locally. The full range of issues that could be voted on, as well as those selected as local priorities can be found on a summary slide, accessed by the button below. The items shown in red are those that have been selected by the local community as priorities in Bradford on Avon Community Area.